The 2018 World Cup in Russia has come and gone, crowning the French the world champions. Now a few weeks removed from the final, it’s given us a chance to take a step back and appreciate the tournament as a whole. When reflecting on the goals, the stadiums, the sights and the scenes from Russia, it’s easy to overlook the care that went into the design. This year’s kit designers went all out, creating some lasting images with their use of bold colors and unique fonts. In years past, the fonts designed for the World Cup have been boring and stale. This is due in part to the strict regulations set forth by FIFA and also a simple lack of innovation. This year however, Nike took notice and decided to break the mold when it came to designing their jerseys and, most notably, the typography. 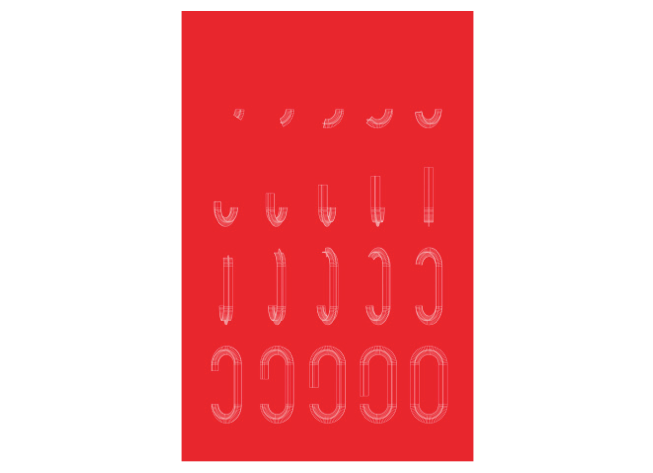 The brand set out to create a dynamic type that could fit with a slew of countries. This baseline font was used for countries such as Saudi Arabia, Australia, and others donning Nike kits. Nike didn’t stop there. They took their basic font and spun out concepts for the biggest players in football, and England, France, Nigeria, and Brazil all saw unique designs catered specifically to their country and culture. 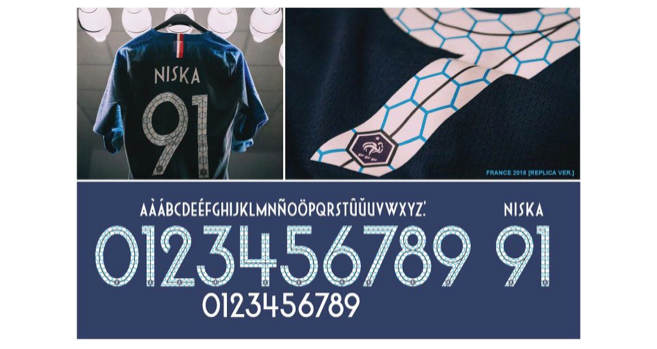 The results of this initiative produced some of the most beautiful typefaces in the World Cup’s long history. Nike sought out designers with a passion for type and, in the case of Craig Ward, a passion for the country in question. Ward, a native of England, took on the font design for the 2018 kit. The passion and emotion felt during the design process is evident in the final product. Craig used a 3D model to place Saint George’s Cross wrapping around each character. The result is the cross curving along the length of the font, creating a dynamic and unique type that truly encapsulates England. The French font is clean, classic and sophisticated in its own way. The designers at Nike took French patriotism, its geometrical shape, and affinity for elegant fashion and created a type that is undoubtedly French. 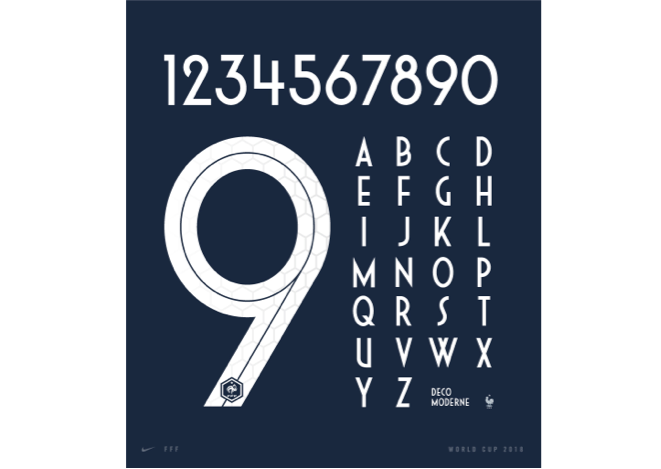 The result is a white type with a navy line dividing the character capped off with a French Football Federation crest. The truly innovative element of the font is the light blue hexagon fill applied to all the characters. The side that won it all has a kit to match, as both font and team will be immortalized in the wake of this year’s tournament. 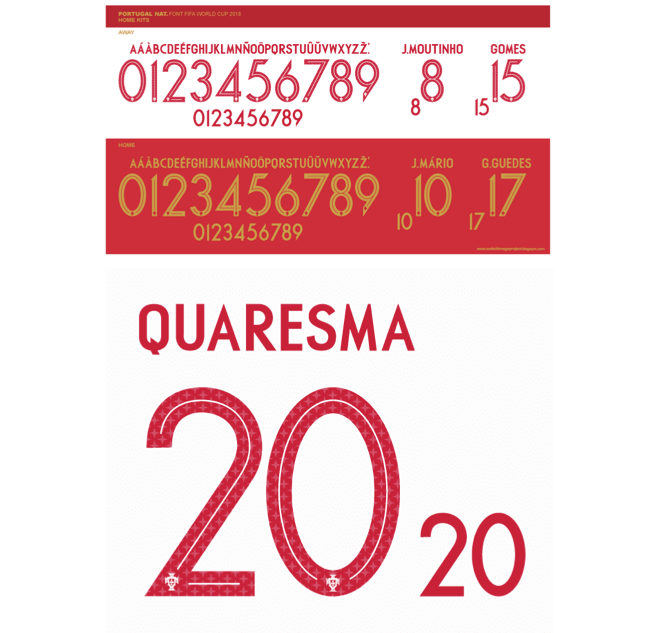 Nike took on the challenge of creating a new font for Portugal, the 2016 Euro Cup Champions. Portugal’s font is golden to commemorate their win, and emulates the iconic Portuguese aesthetic. The font is similar to that of France (but decidedly sharper) and contains a stylized version of the Military Order of Christ throughout, along with a straight line that cuts the numbers. The font and jersey emit a regal aura, a testament to Portgual’s 2016 Euro victory and football’s crowned-king, Ronaldo. The bold colors and unique fonts of the 2018 FIFA World Cup in Russia will not soon be forgotten. Thanks to Nike and the brilliant play of the teams at the tournament, the images of Russia will hold football fans and designers over until the hype surrounding Qatar materializes.